Red Thread Games, the creators of Dreamfall Chapters and the upcoming first person horror survival adventure Draugen, received a grant from the Norwegian Film Institute. The game which received the grant is tentatively titled Codename: Svalbard. 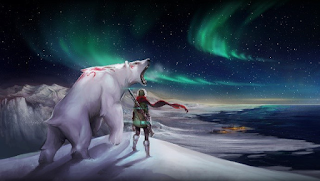 It is an RPG that has a female protagonist, and is set on the island of Spitsbergen. In the game, climate change and global warfare lead to a destructive nuclear winter. Generations later, what is left of humanity tries to rise again to rebuild civilization. The key to the Earth's future lies beneath the ice, on Svalbard. Codename: Svalbard is and RPG that will be able to be played with one or more players. No release date has yet been set, but it will be released after Draugen, which won't begin full production until Dreamfall Chapters has completed.